Considering a walking, rambling or hiking tour along with a fantastic boat ride through the Lakes of Killarney among spectacular scenery? Look no further than a Deros tour to the Gap of Dunloe (from Irish: Dún Lóich, meaning “Lóich’s stronghold”, otherwise known as Bearna an Choimín meaning “gap of the common-land”). The Gap is a narrow mountain pass between Macgillycuddy’s Reeks (west) and Purple Mountain (east) of just under seven miles long and your hike takes approximately 2 hours and 30 minutes. There are daily tours to this magnificent landscape leaving from our office in the centre of Killarney. At 10.30am transport will transfer you to Kate Kearney’s Cottage from where you can “Walk The Gap” through the seven mile pass as it is an ideal location for hiking or alternatively you may wish to avail of the Pony and Carriage which are an optional mode of transport through The Gap of Dunloe and are independently operated by the Gap of Dunloe Ponymen Association.No liability is accepted by Deros Tours in relation to the Pony and Carriage and its Owners.The charge on these carriages are paid directly at a cost of E 25 per person and the occupancy of each Pony and Carriage is 4 persons with the Driver.If however one wishes to hire the Carriages for one-two to three persons then the charge will be E 100 per carriage.Please note that there maybe a walk involved as part of this Pony and Carriage ride through the Gap of Dunloe. Within the pass are five lakes: Coosaun Lough, Black Lake, Cushnavally Lake, Auger Lake, and Black Lough (north to south). These lakes are connected by the River Loe. Between the first two lakes is an old arch bridge called the ‘Wishing Bridge’ so named because it is said that wishes made while upon it are destined to come true. A barbeque may be arranged at Lord Brendan’s for groups of 20 or more – quotes available upon request. Once through the Gap, where lunch may be had at Lord Brandons Cottege (payable directly) boats are waiting on the Gearhameen River for the homeward journey via the enchanting Upper, Middle and Lower Lakes of Killarney to the historic Ross Castle where transport await for the journey back to Killarney town ten minutes after the last boat arrives. If one would like to stay and visit the Castle or walk through the National Park to Killarney which is a lovely walk of 2 kilometers please advise a member of the group to avoid any delays at Ross Castle for the return transfer to Killarney. A great day out for folks of all ages and fitness levels. 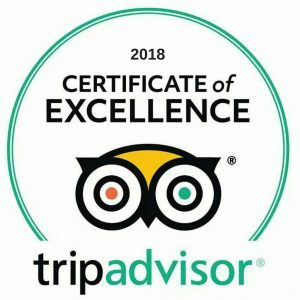 Please note: This Tour operates from March to October, however, should you wish to book it at any time of the year, please contact the office and we will do our best to facilitate you.